UCLA sports medicine specialist, Dr. David McAllister, describes Tiger Woods’ US Open victory as remarkable considering that the golfer just had knee surgery 2 months ago and was obviously in pain with certain shots. Woods just had surgery in April to clean out cartilage damage from his anterior cruciate ligament (ACL) and will have to be sidelined for the rest of this season’s PGA tour to recover from stress fractures on the same leg. 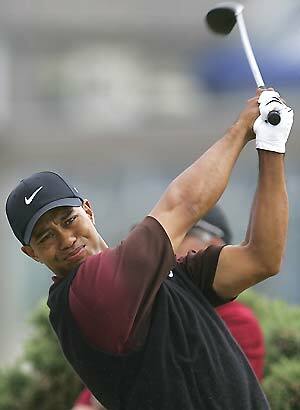 As a right-handed golfer, Woods’ left knee takes the brunt of the stress from the swing. The high speed and torque of his violent swing aggravates the stress further. However, doctors say there’s no reason he can’t go back after an upcoming knee surgery and treatments for a double stress fracture. Unfortunately, it’s his prospect within 5 to 10 years that can be at risk. The injury could lead to early arthritis that will definitely slow him down. After the lengths the 32 year old athlete had gone through to get this far, there is only one thing I can say. What do doctors know about perseverance?